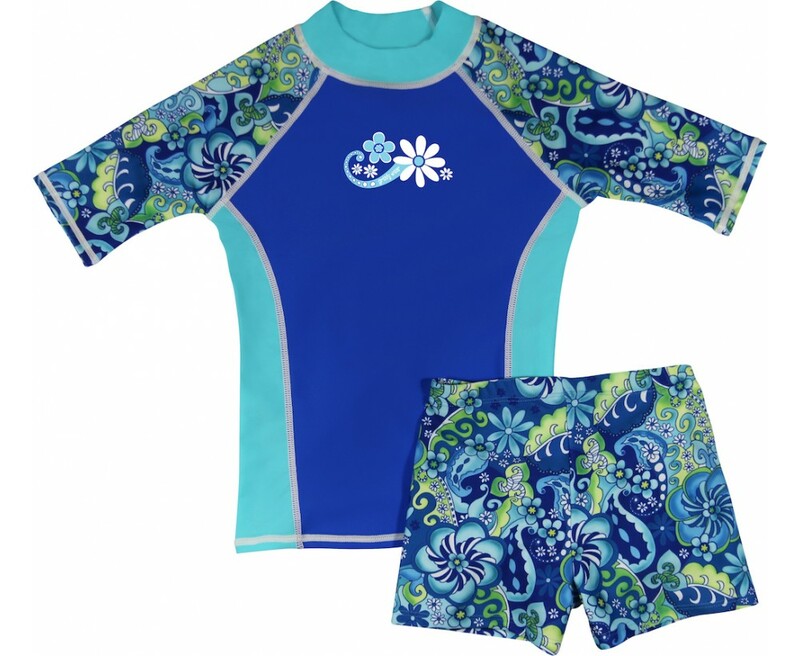 Your grUVy girl can get full UV protection, be fashionable and comfortable too! 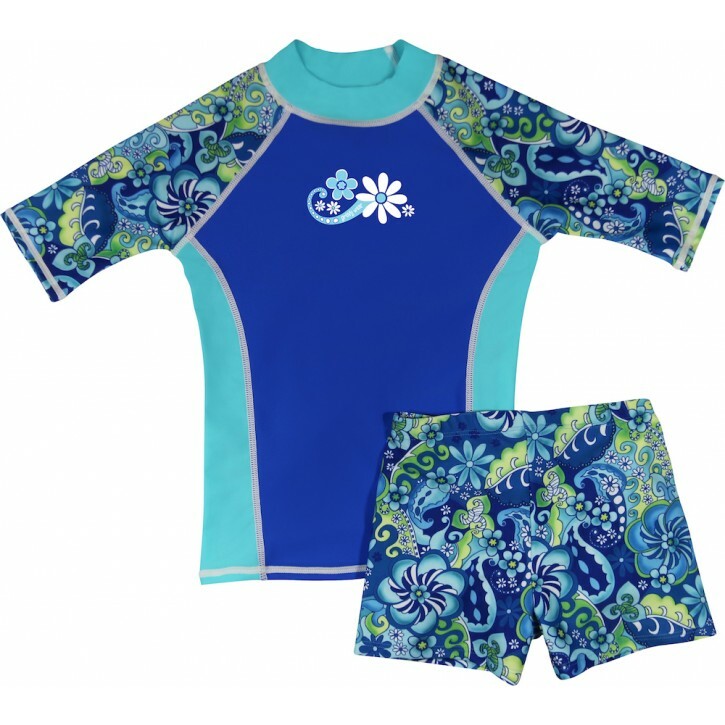 Our Blue Paisley Short Sleeve Short Set offers excellent UPF 50+ SUN protection and is fun to wear. Comfortable, non binding, short shorts with 4-way stretch and elastic waistband make for a secure fit. Shirts are designed to fit SNUG so if you want a looser fit order the next size up. Please consult size chart.